Becca has worked hard to develop her casting career and is recognized for her commitment to the Chicago theater community and passion for the industry. 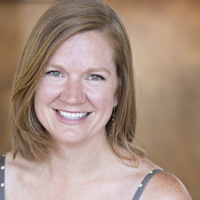 During her tenure at Simon Casting, Becca was the director of the theater division as well as casting associate for film, television, and commercial. Her career in the industry includes work as Managing Director of Vagabond School of the Arts and a plethora of independent casting jobs. Chicago and Regional theatre credits include American Blues, Asolo Rep, Florida Studio Theatre, Infusion, Indiana Festival Theater, Indiana Rep, Lyric Opera, Madison Rep, Milwaukee Rep, New Theatre, Paramount, Provision, Silk Road Rising, Syracuse Stage & Writers Theatre. Other credits include Spamilton, Million Dollar Quartet, Old Jews Telling Jokes, Evil Dead: The Musical Tour, Broadway In Chicago’s How To Train Your Dragon National Tour, Peter Pan the Show National Tour, Working, Dee Snyder’s Rock & Roll Christmas Tale, Sister Act National Tour, and Mozart the Rock Opera. She is an Artios Award winner for her casting of the Lyric Opera of Chicago’s Carousel. Becca is excited to be invited into the Court Theatre family.